As usual anything you care to enter is fine, a card, scrap layout, mixed media piece, some home decor, as long as it meets the Explosion of Colour theme. Nothing explodes more than colour mounted onto black card. 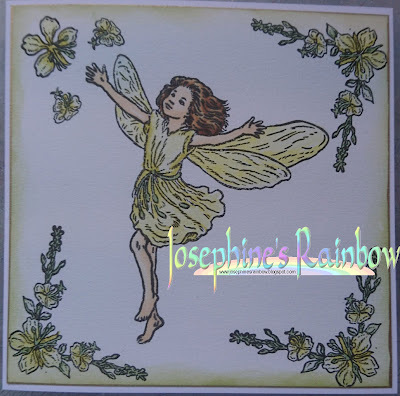 The background was made using a stencil and 3D gel to which I added Pixie Powders. 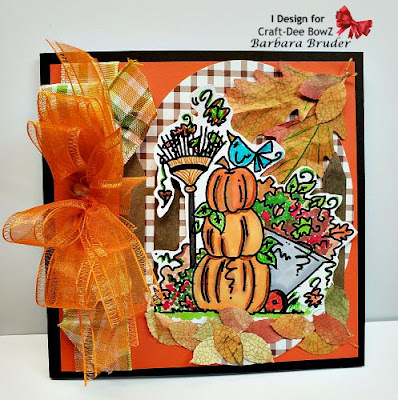 The squares and leaf were cut using Sizzix dies and the dots were applied with white and black pens. I look forward to visiting you all and seeing what you come up with. I used a Fiskars piercing template and machine embroidery thread to make this, and framed it in black using a Tonic die for added decoration. And I'm keeping it to put on the wall of my craft room! 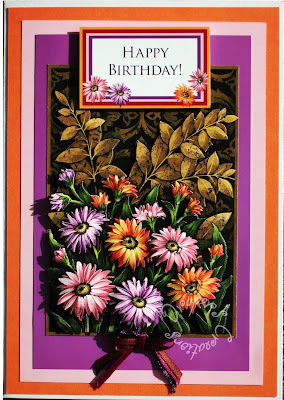 I used a David Wolverson flower decoupage sheet from Joanna Sheen. I matted and layered it and three different card onto white card and added a bow made using three strips of ribbon recycled from garments. 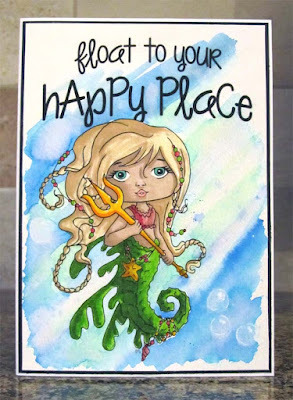 I cut a piece of watercolour card to fit my tag and used Distress Inks for the colourful background. 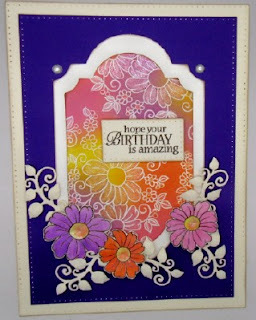 I then dabbed gesso through a floral stencil and added some stamping. A floral cluster by Little Birdie, a leftover scrap from a diecut, some prills, microbeads and a pretty bow and my tag was done!! 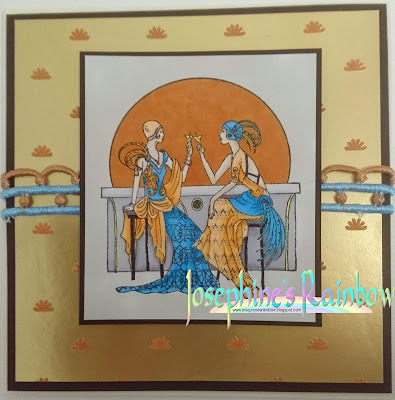 To create this card I used Brusho on glossy card stock. 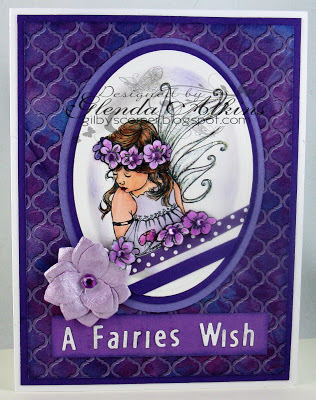 I first stamped my card stock with several background stamps from my collection before I added the Brusho colours of purple and turquoise. To complete the card I added two laced butterflies that I also added Brusho colour to. My final touch was adding some white pearls and lace. Used a clear stamp from Inkadinkado titled Birds Galore, coloured with Copics and decorated with hand punched flowers. The leaves were die cut. I used Copic refill colours on Yupo paper to create the background and added this beautiful butterfly by Stampin Up to it. I chose to decoupage this challenge, I wanted the explosion of colour to be the focus so used a topper sheet building up the layers with foam pads to showcase those gorgeous poppies. I created this card using one of Jane Gill's lovely floral designs. The central panel has been created with white embossing and colourful distress inks to give my Explosion of colour. 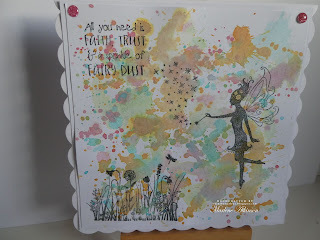 For my Explosion of Colours card I used lots of Distress Inks flicked the colours with a Brush onto card then added stamps that came free with a magazine. 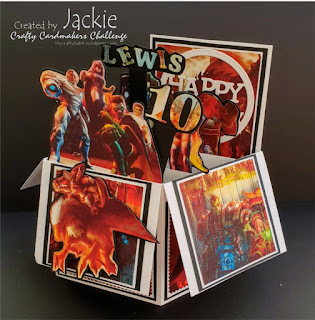 My card is an exploding box card for a friend's son, who was 10. He likes gaming, so I took pictures of the characters and included them in the box. 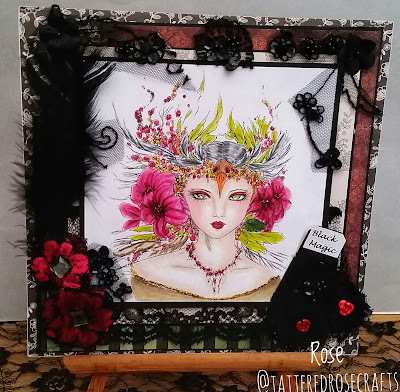 This is a page from my Art Journal with various different colouring mediums and a whole host of Jane Davenport products! See my blog for details. Before we get to today’s slightly late challenge, apologies pc issues again! I am sad to announce that the lovely Chanya 13 has left us due to work committments. I would like to thank her for all her gorgeous projects and wish her all the very best for the future. 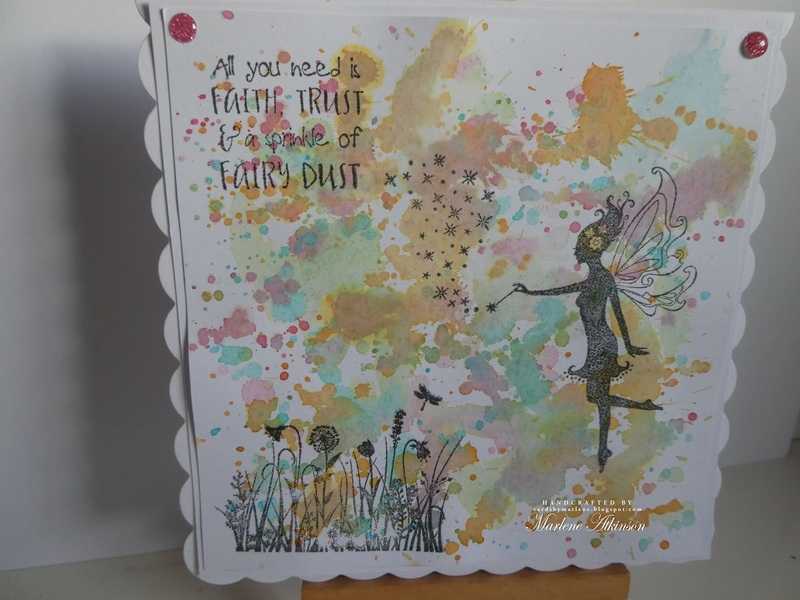 As usual anything you care to enter is fine, a card, scrap layout, mixed media piece, some home decor, as long as it meets the Fairies or other Mythical Creatures theme. My card was made for a friend's daughter who was 5. 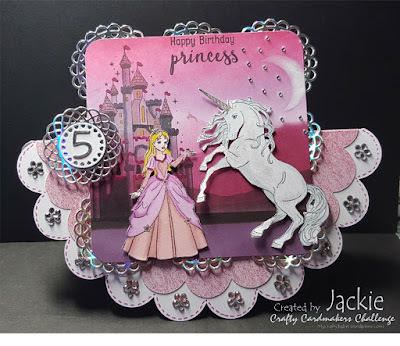 She loves sparkle, pink, princesses and unicorns... so all made their appearance on this card. I used a hunkydory stamping pad and stamps and some images, gems and dies from my stash to make this rocker card. I've used a very old Crafter's Companion stamp set called Rose Bay Willow Fairy (or similar). 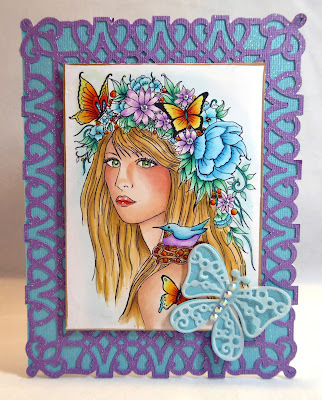 I coloured skin and hair with Chameleon markers, and flowers and her dress with Crafter's Companion Glitter markers. I decided to make a Halloween card with these Mythical Halloween Creatures for this challenge. The image is by The Paper Shelter and was coloured with PanPastels, Copics and pencil crayons. 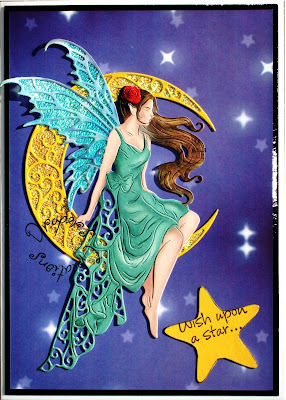 I used the faerie wishes and moonbeam dies from Tattered Lace backing the moon and the wings onto shimmer paper. 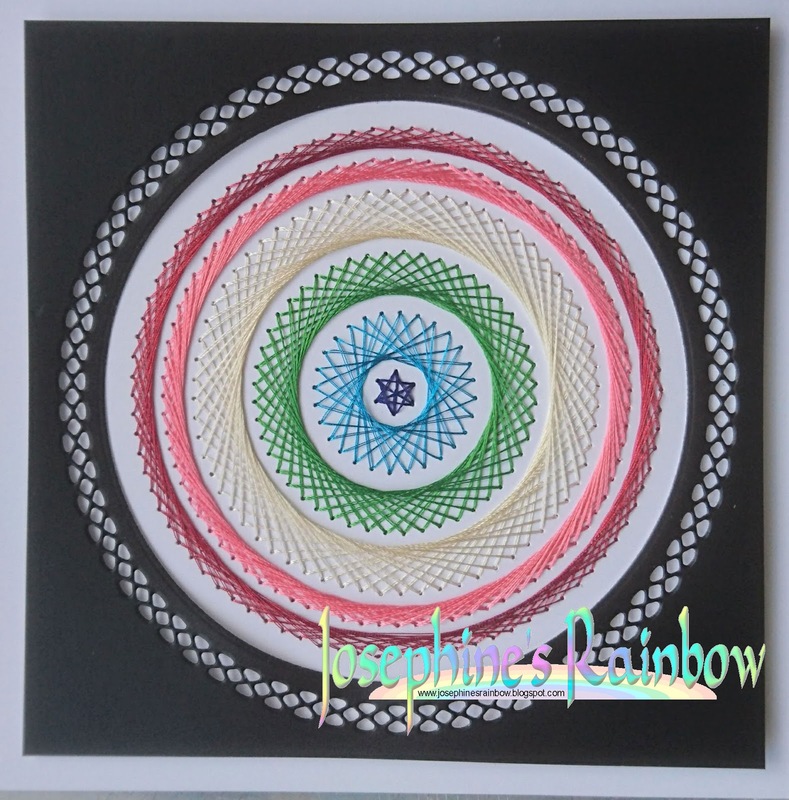 The design paper was printed using My Craft Studio CD ROM Mystical Wonders. 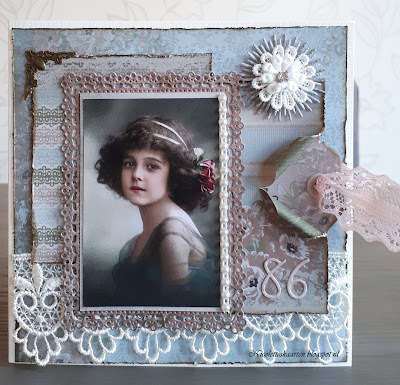 Made this using Lavinia stamps and dies with a background of watercolour paper coloured with Distress Oxides which was then layered onto blue textured card and a black card blank. When I was looking through my stash for something suitable for this Challenge I was surprised to find that I have nothing at all that I could use. No fairy stamps or stencils, nor any other kind of mythical creature at all! Shock!! Horror!! So, in the end, I decided to crochet this little Amigurumi Unicorn using a free pattern from the net!! 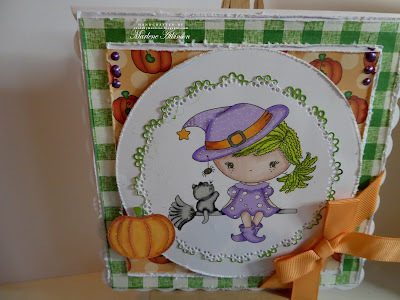 I couldn't think what to make for this challenge, so I went through all my digi Stamps and found this one from Crafty Sentiments she is called Harriet the Little Witch,isn't she cute. My time has been very limited of late so I looked through my not so inconsiderable stash of cards to find something suitable for this latest challenge. 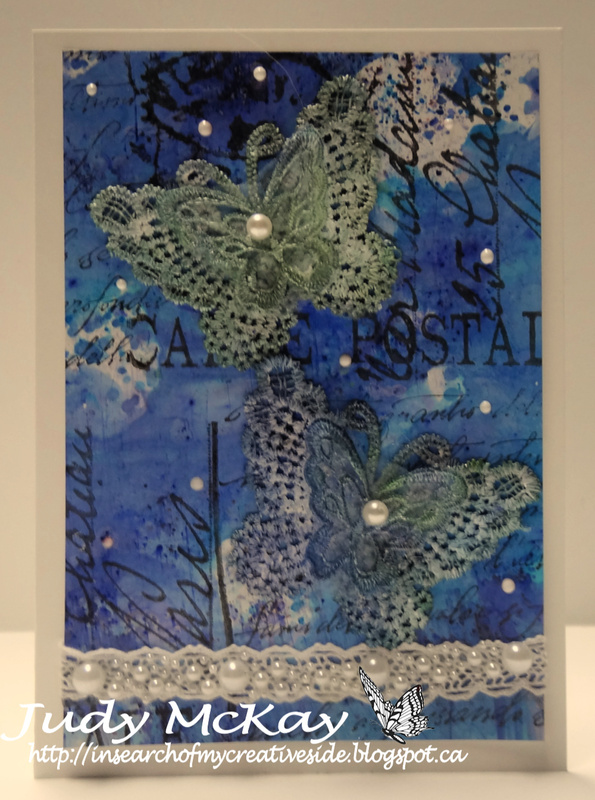 This uses an old LOTV topper as its centerpiece and a background of white embossed butterflies from Chocolate Baroque. 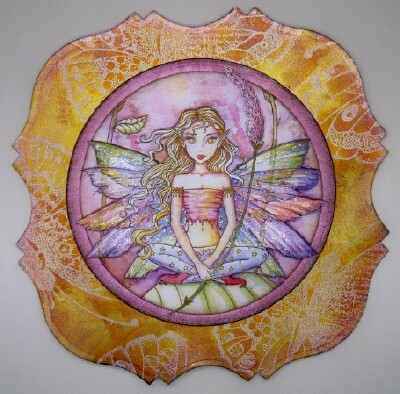 I used an image from Morgan Fitzsimmons tilted Fairy Child, coloured her with markers and Copics (flesh tones) and used paper from an older Michaels Razzle Dazzle paper pack. 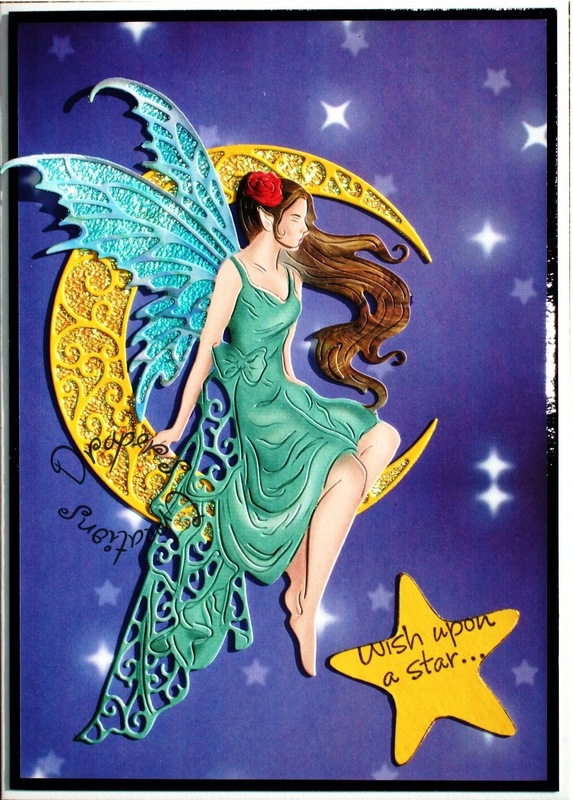 I've have no fairy in my stamps, so I have decided to use a free printable fairy image from Pinterest. 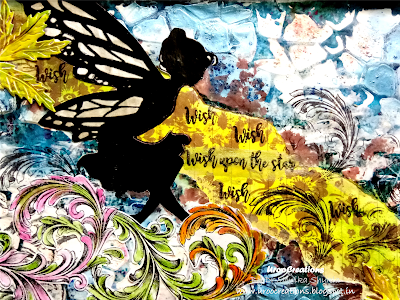 I have used many different medium to create this art page, like some Lindy's magical shakers, Finnabair texture paste, iCraft stencil, some stamps and Artzone pearl metallic paints. 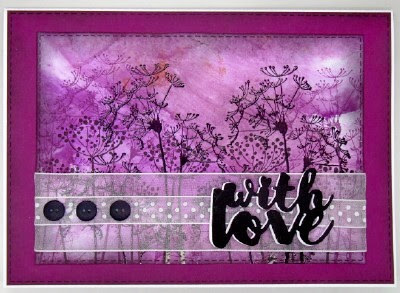 I have also used Tim Holtz distress inks. 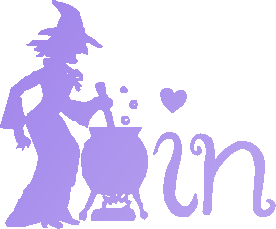 For more images and details, visit my blog. I loved this fabulous shaped card with it large black bow. 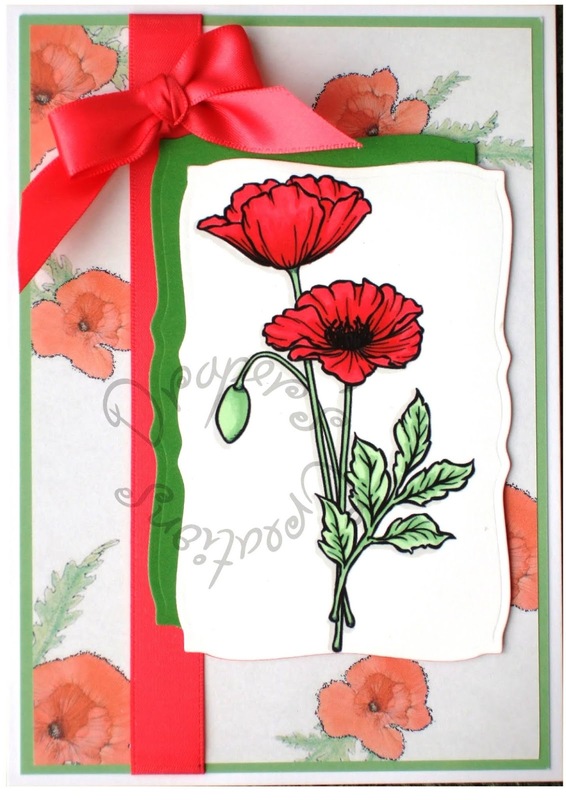 I love the colours on this card, and of course the fabulous bow. 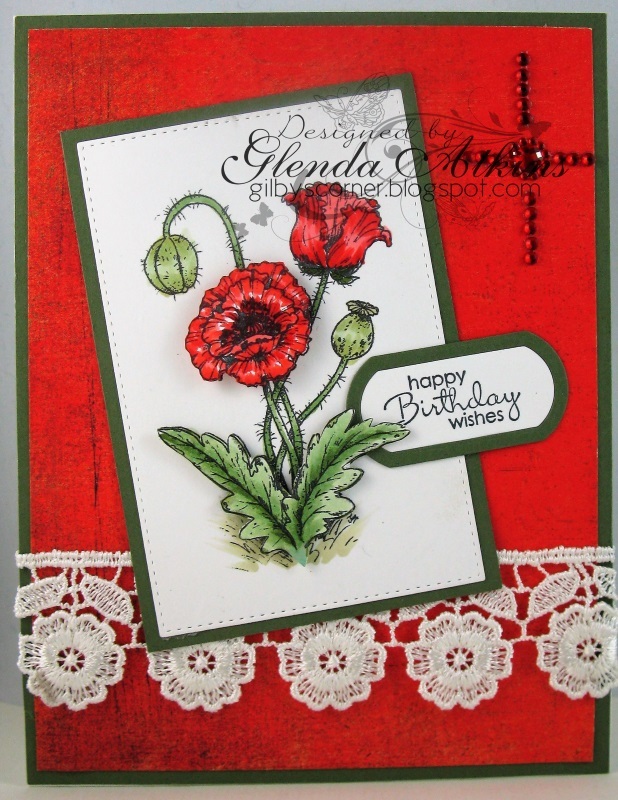 I love all the lace on this impressive card. I just couldn't resist this fabulous Christmas card. The sentiment is brilliant. Lots of lovely lace on this card. Sorry I am late again with posting the challenge. Windows decided to have a hissy fit on Friday and refused to load. I have spent nearly 4 days trying to fix it. It's not too stable but for the moment, fingers crossed, it's working! 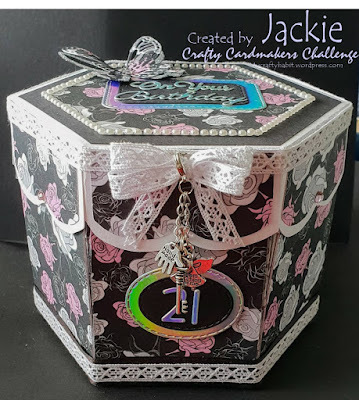 As usual anything you care to enter is fine, a card, scrap layout, mixed media piece, some home decor, as long as it meets the Lace or Ribbon theme. 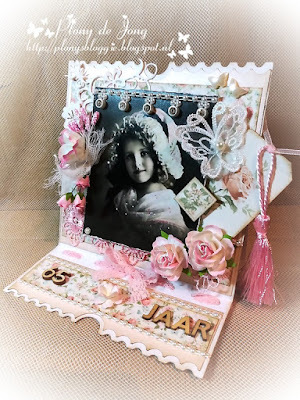 I chose sheer ribbon for my card which was made for my lovely Mum for her 88th Birthday. Emma, my 3 year old Granddaughter, painted the background to the card. For this, I've used an image stamped using a Crafts and Me Art Deco stamp which I coloured with Promarkers and Crafters Commpanion Glitter markers. 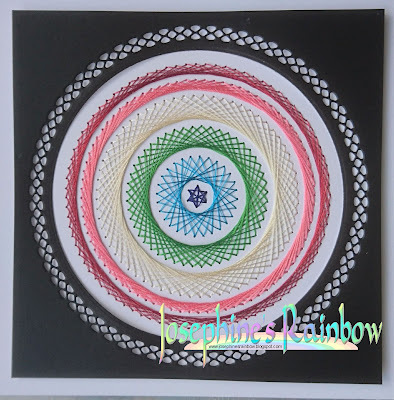 I coloured the lace to match. 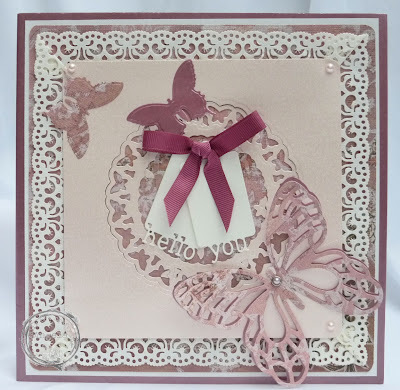 I used Spellbinders butterfly dies, though not sure about the tags. I included paper lace and ribbon to fit in with the challenge and tiny pearls completed the design. 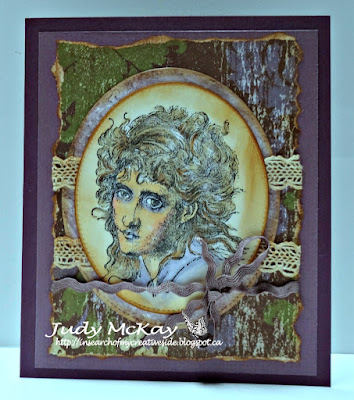 I used a Just Inklined image and lace from my stash. 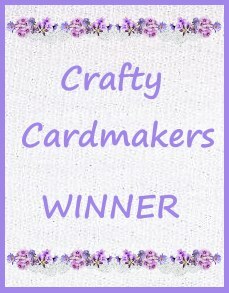 A simple card to makes and I love the end result. I made this card with an old unmounted rubber stamp that has been in my collection for years. She is coloured with Copics and I used also pencil crayons, acrylic paints, and Distress Inks. 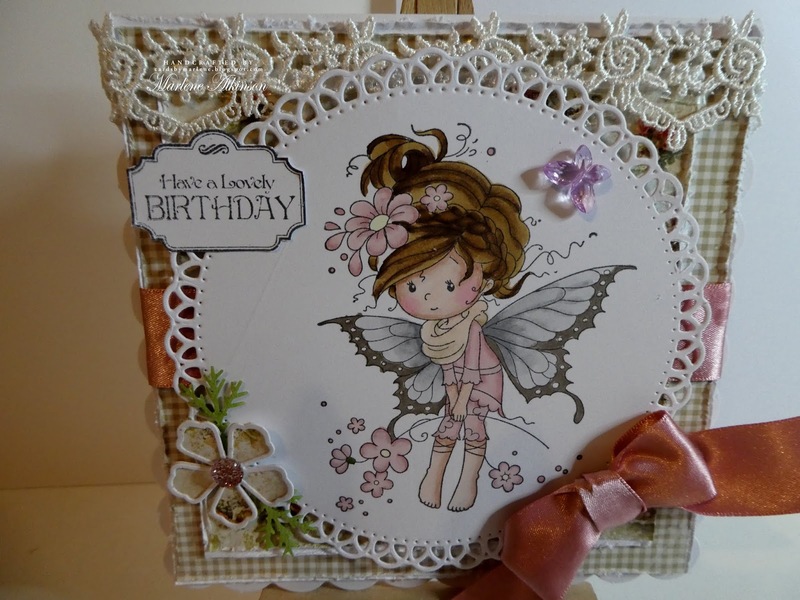 To complete my card I added lace and ribbon. 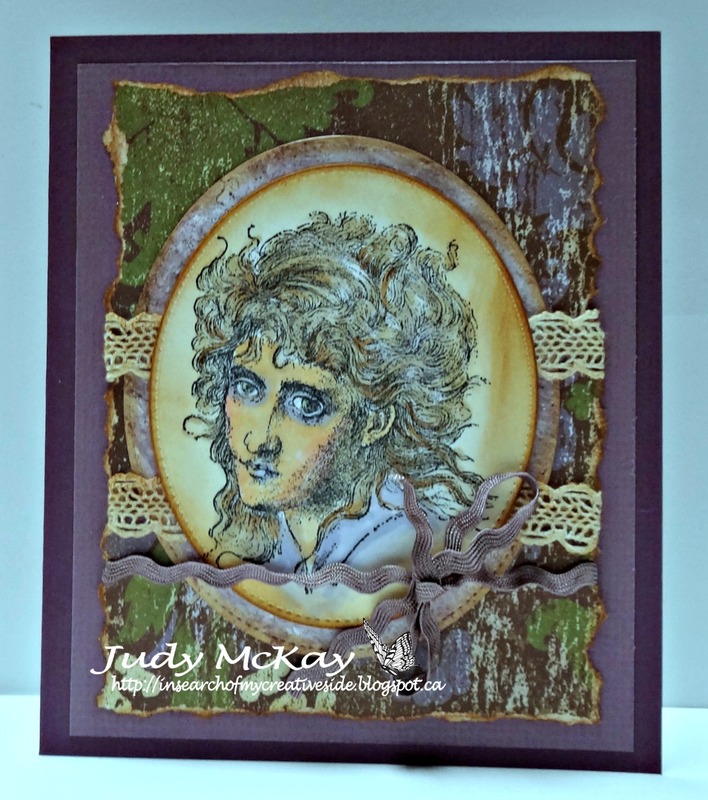 For this Challenge I created a card using multiple layers of Kaisercraft's 'Pen & Ink", 6.5" Paper Pad. Added scraps of tule, Little Birdie flowers, die cut leaves and lots of lace. To finish it off, I added a sweet ribbon bow. I have a Whimsy Stamp coloured her with Promarkers. Added some Lace and Ribbon also used Lemoncraft Papers. Hello, today I made a card for a little boy. 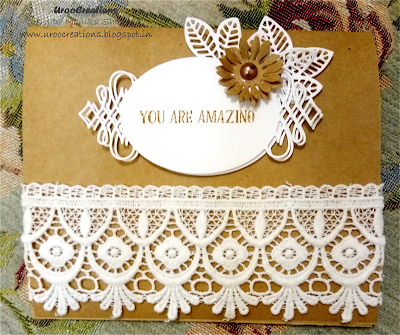 I added paper lace to my card. I used Altair Art papers and a digi from I love Digi. 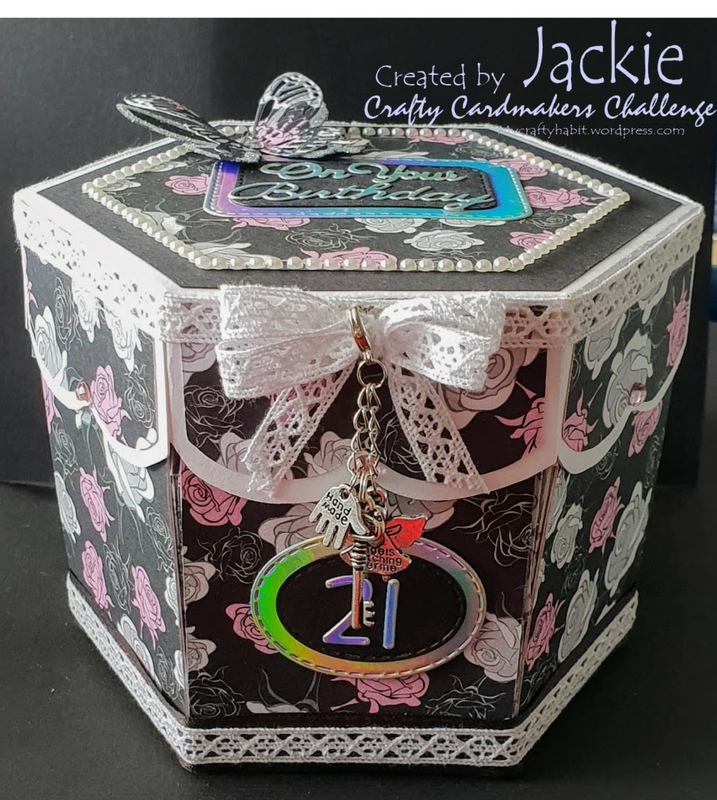 I used lace to decorate a box made for a friend's god daughter who was twenty one. Her gift went inside - the box was made using a template, card, paper and embellishments from my stash. Hello, everyone!!! I made this card for my lovely friend. 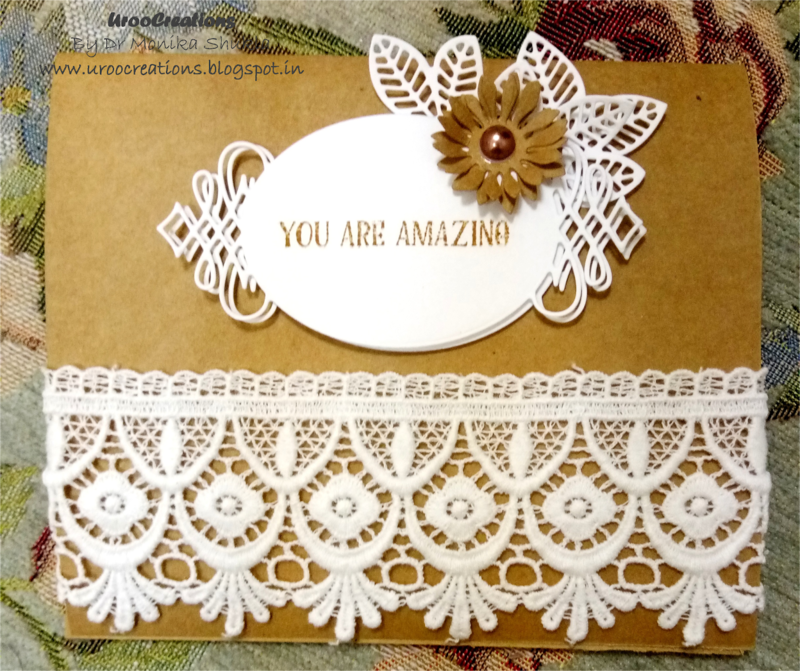 As per theme of our challenge, I have used a beautiful lace on my card and added other embellishments to give a perfect look. I hope you will find some inspirations.